This is as good as First Day Covers got back then! There is no special stamp with this cover, just the commemorative postmark. There were Solomon Island stamps issued on 11th November 1982 for both the Boys' Brigade and the Scouts. This FDC features the scout stamps, with a commemorative postmark. An accompanying card gives a brief history of the youth organisations and some technical details of the stamps. There is an accompanying card which provides some history to the formation of both organisations. There is an accompanying card which provides some history of the Boys' Brigade. The 108th Glasgow company were reported as camping on Guernsey for 21 years, the longest continuous run of any visiting company. A brief history of the Boys' Brigade and Padraig O Siochfhradha (an Irish teacher and author) is provided on an accompanying card. 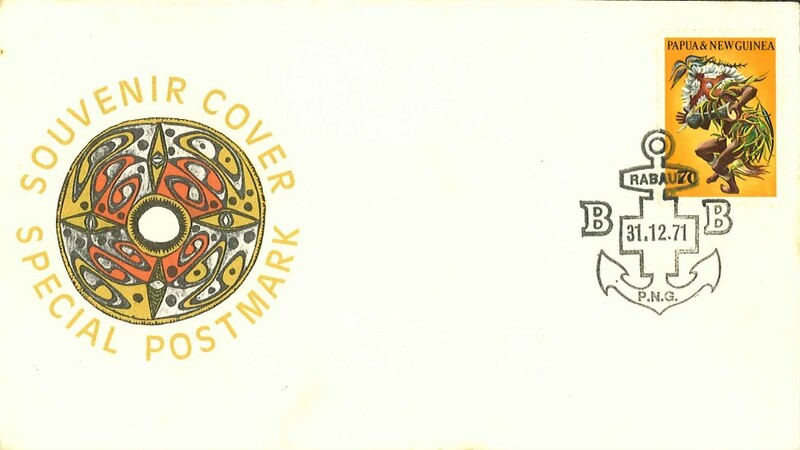 This is a pre-printed envelope, rather than a stamp.